After filing for divorce nearly four years ahead, Debra Messing officially counted herself as a single lady from 2016. Debra filed for divorce from her ex-husband Zelman in June 2012. Yet, from the documents, it is revealed that Debra Messing and Zelman had separated two years prior in February 2010, but had still been living together in New York. Let's see what both of them has to say about their split after a romantic voyage. Debra Messing Spoke For The First Time After Her Divorce: Is She Dating a Boyfriend? Debra Messing called it quits from husband Daniel Zelman on March 1, 2016, after more than ten years of marital relationship. Reason for Debra Messing and her ex-husband divorce. The 51 years old lady left something about the trauma of the split for the first time with Daily Mail in 2012. There is clearly cause for positivity for Debra, who says that the split has apparently increased the level of her self awareness. Also, Read: Eddie Murphy Divorced with Nicole Mitchell Murphy in 2006. Know about his Children. It's been three years since Messing finalized the divorce with her ex-husband and it seems she's plunged her leg in the dating pool! "There is someone in her life whom she likes a lot [but] she thinks that marriage is an antiquated institution." Well, we are desperately waiting for the star to reveal her new boyfriend very soon! The American actress Debra Messing walked down the aisle with her longtime boyfriend Daniel Zelman on 3 September 2000. 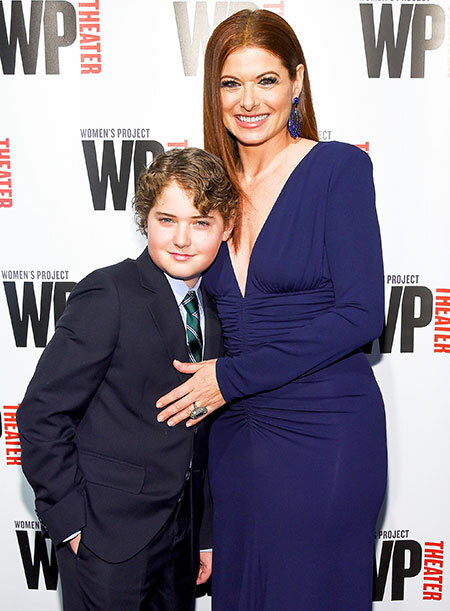 Debra Messing and her son Roman. Reportedly, the duo first laid eyes on each other at New York University as graduate students around the early '90s. The duo went on for the quality of time for over ten years until finally deciding to get hitched together. And in the long run, the lovebirds even shared a child, Roman Walker. But fate had other thing waiting for the couple as they split nearly over 16 years of a journey together. Well, at the time of the filing, the actress sought for spousal and child support. Debra's friend further told the Closer Weekly that the exes are in good terms now and are co-parenting their kid. "Roman is always the focus for both of them. They all want the best for each other." "I never stop. I work all the time. I’m always involved with something. I never spend enough time with my son. Never. I always want more." "I am a success when I feel like I have a balance of the things that are important to me. The times when I was not happy or not fulfilled were when I was neglecting certain parts of myself, whether it was neglecting to be a great mom or being completely there at work. It’s an act of balance." No doubt, the diva is a proud mother and a most probably a good lover! Debra Messing was born on August 15, 1968, in Brooklyn, New York, U.S.
She is the daughter of Sandra Simons and Brian Messing. Debra attended East Greenwich High School and graduated from New York University's Tisch School of the Arts. Messing currently resides in New York, but often travels back to Los Angeles to film Will & Grace. As of 2019, Debra Messing estimated net worth is ‎$20 Million.